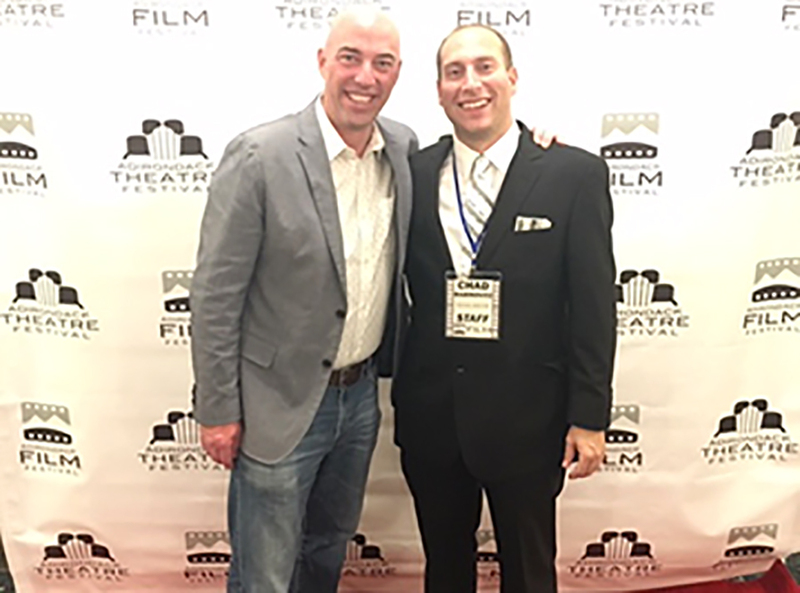 Andrew Meader, left, of 8 of Eight Strategies, with Film Festival Director Chad Rabinovitz. Andrew Meader’s marketing and consulting firm, 8 of Eight Strategies LLC, was hired two years ago to bring tourists and moviemakers into Washington County. So far, there has been a quantifiable increase in traffic and dollars spent, but Meader will not take all the credit. He is part of a triad of professionals working with the office of Gov. Andrew Cuomo and the local economic development agency to build awareness of, and bring industry into, the area where Meader grew up and has spent much of his career. 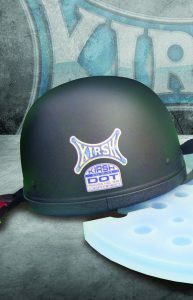 This motorcycle helmet was developed by Jason Kirshon of Lake George. Lake George entrepreneur Jason Kirshon decided to develop a better motorcycle helmet after he attended Laconia Motorcycle Week in New Hampshire in 2008. New Hampshire is one of just three states with no motorcycle helmet laws. Nineteen states, including New York, have universal helmet laws. In the remaining states, helmets laws apply only to riders under the age of 18 or 21. The age varies by state. Kirshon, an avid motorcyclist, understands why helmets are so unpopular. It comes down to comfort. “There are two types of half-shell helmets,” he said. “The first is DOT (Department of Transportation) approved. 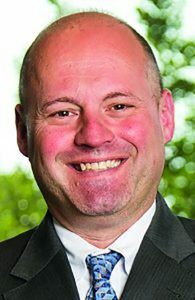 Michael Billok is a member of Bond, Schoeneck & King in its Saratoga Springs office. If there is one issue that trips up new and small businesses, it is paying employees correctly. It seems simple enough: so long as you contract with a reputable payroll company, you won’t have problems, right? Wrong. The “salaried” employee. It is common knowledge that when an hourly employee works more than 40 hours a week, that employee must be paid overtime at the rate of time-and-a-half. It is also commonly believed that if an employee is salaried and not hourly, then that employee does not have to be paid overtime. 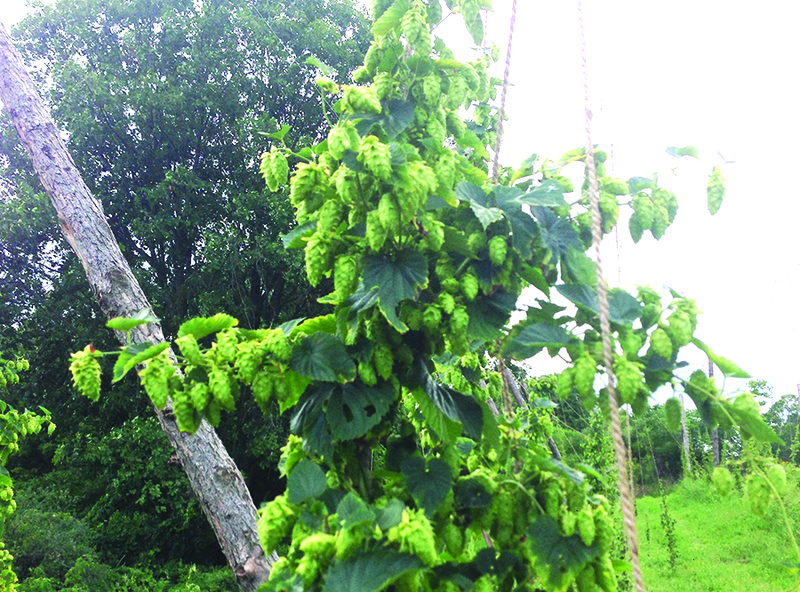 This hops plant is an important part of the operation at Argyle Craft Hops & Malts in Argyle. An old barn used as the malting floor is being renovated and expanded as the business grows. Argyle Craft Hops & Malts, owned by Rick Dennis, is a farm malt house and hops-growing business located off County Road 47 in Argyle. The business sells its products wholesale to eight or nine breweries. “The biggest challenge has been getting breweries to try the malt,” he said. Breweries generally have standard varieties, tastes and flavors that they are partial to. Additionally, it takes 30 days for a batch to finish, so there’s necessarily a follow-up process involved with new interests. But thus far, interest in his product is running high, he said. Dennis started out as a dairy farmer. He still sells hay, Christmas trees and vegetables and runs a small construction company on the side–for now. This is one of the new homes built by Eric and Eric Construction based in Brant Lake. 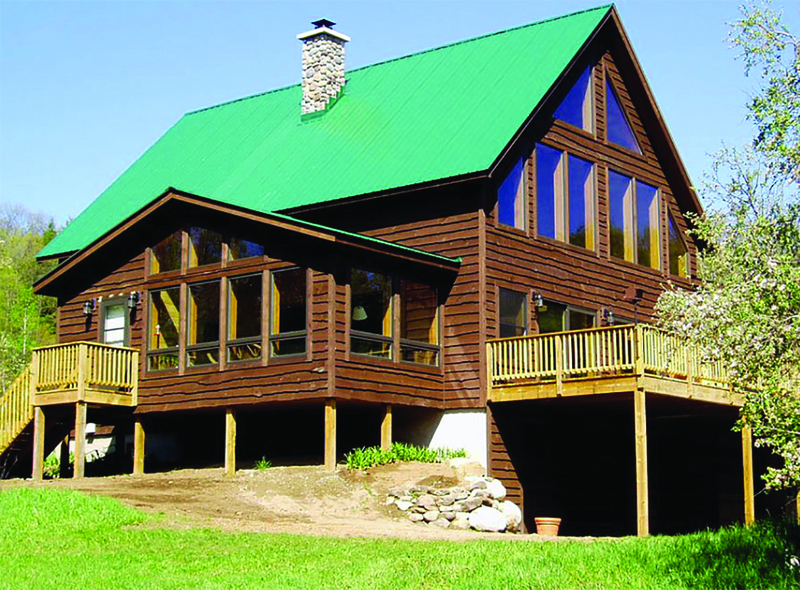 The company does a lot of remodeling jobs, but builds two or three new homes each year. For Eric and Kristina “Kit” Isachsen, the move to Brant Lake to start a construction business with college buddy and fellow high school teacher Roger (Eric) Daby back in 1972 was part of a natural progression. Isachsen and Daby were schoolmates at Oswego College who both worked in construction jobs during their summers off. After graduation, they began teaching high school together. Isachsen taught industrial arts and drafting, while Daby taught industrial arts and art. While they both enjoyed teaching, their true passion was for actually doing the lessons they were imparting to their students. “I really loved construction,” said Isachsen. Forty-five years later, he still does. Another thing Isachsen loves are the Adirondacks. His strong bond to the region was formed early in his childhood. His father was a geologist for New York state and his job was to map the Adirondacks. “I grew up spending my summers at a different place in the Adirondacks every year, as my dad mapped the region,” he said.